RALI is back for it's 6th edition! 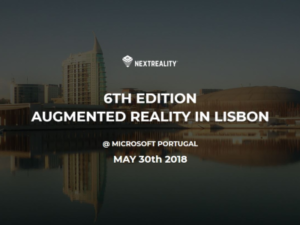 RALI – the Augmented Reality in Lisbon event – is back for it’s 6th edition! This was the last edition of RALI – a special edition as a satellite event during Web Summit 2017. But RALI is back and we’re already busy preparing the next and 6th edition! Save the Date: May 30th, 2018 at Microsoft Portugal!